How does turtle grazing affect the productivity of and competition between the native T. testudinum and invasive H. stipulacea in Lac Bay, and what are the differences in colonization rates between the species? Does the green turtle show a preference for the native vs invasive seagrass species, and what are the differences in nutritional value? How is the current seagrass distribution in Lac Bay compared to 2011 and 2013? So I will try to assess the situation in the bay in order to hopefully eventually make a well-considered judgement call if we have to worry about the invasive species or if the ecosystem dynamics will adjust to this newcomer. 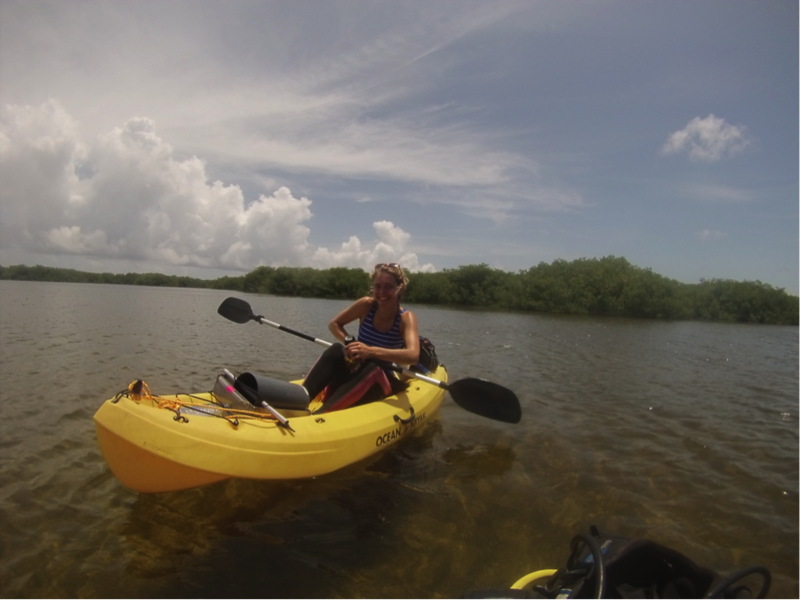 In my first week, together with Marjolijn, we did a lot of fieldwork to train me for seagrass research. 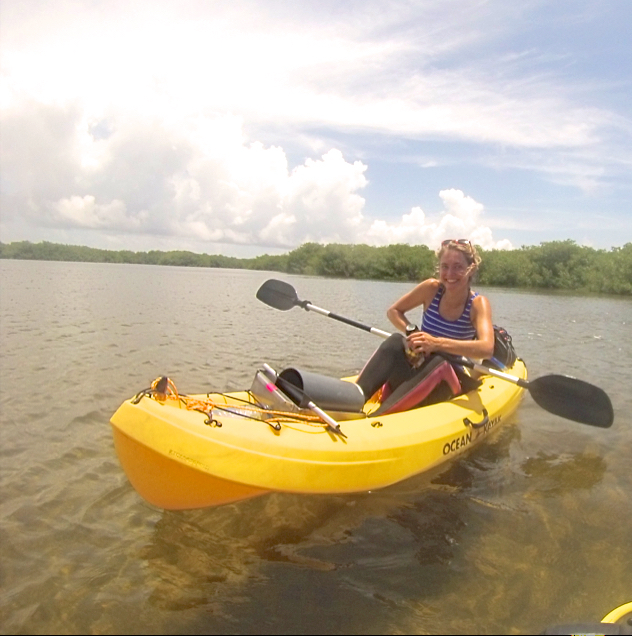 The cages are situated in the middle of the bay, so with divetanks on kayaks we made adventurous trips towards our site. We took photos, measured the seagrass and took biomass samples, which Marjolijn later on taught me how to process and dry. 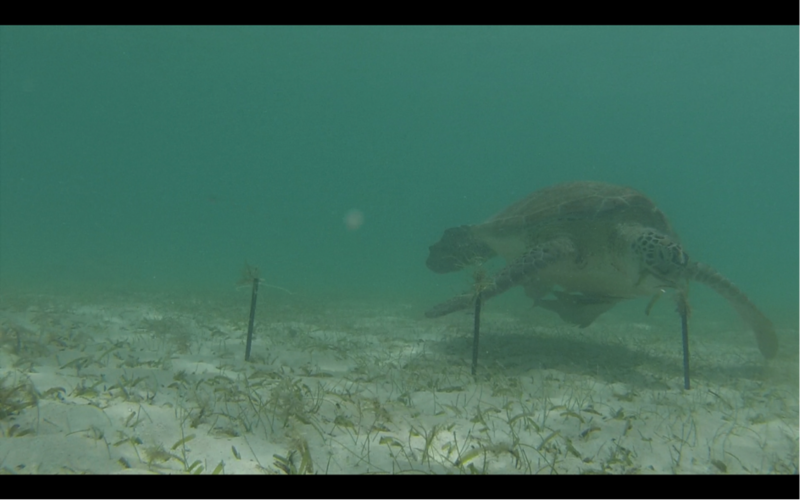 We also performed the first ‘cafetaria experiment’, in which we offer the sea turtles different choices of seagrass attached to metal pins in the seagrass bed, to see if they exhibit a preference. We already recorded one turtle grazing on the native turtle grass (as expected) and additionally encountered a turtle with a tag! 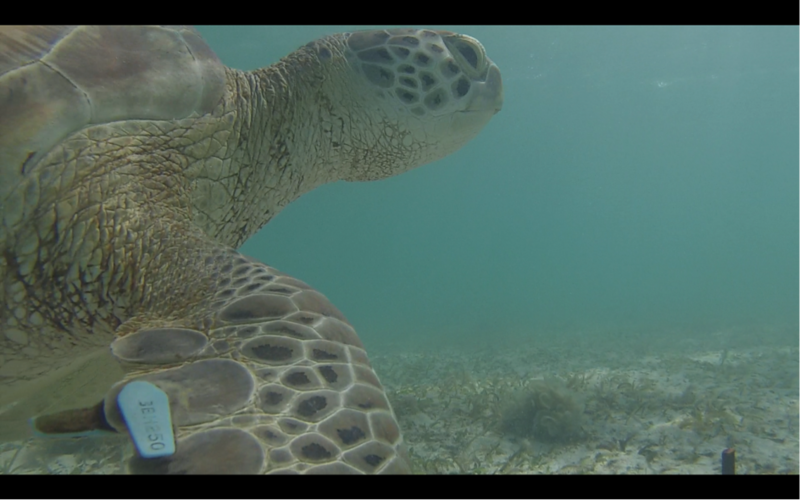 This tag was put there by the Sea Turtle Conservation Bonaire, who immediately looked it up and found that the turtle had been tagged in 2011 and last seen in 2013. Now we know it is still healthy and roaming about Lac Bay. 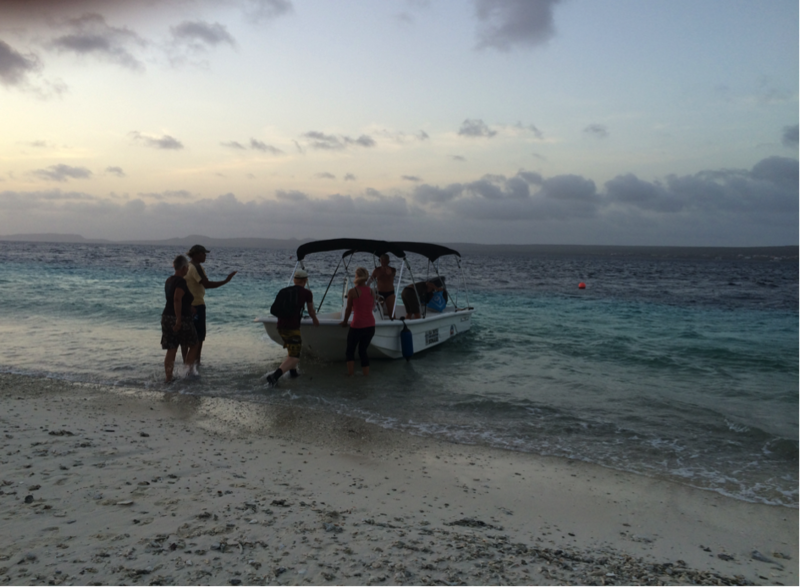 With some people of STCB and other students we went by boat to Klein Bonaire in the evening to await an adult turtle in order to put a transmitter on, but the turtle did not show up. We did however witness a hawksbill turtle nest hatching! Bonaire is a beautiful island above and underwater. I am really surprised at how helpful and enthusiastic everybody is about marine research. Updates will follow!